Everyday, it seems like some there is some new rapper making rounds across the internet. They're plastered all over every social media outlet with clickbait-y video titles like "THIS guy will change rap forever!" But once that initial hype dies down, those rappers disappear back into the blackhole of Soundcloud obscurity. Russ will not be one of those rappers. The New Jersey born rapper, producer, multi-instrumentalist began making waves in the Atlanta underground scene after releasing dozens of singles and mixtapes through Diemon, a label and collective established by Russ. 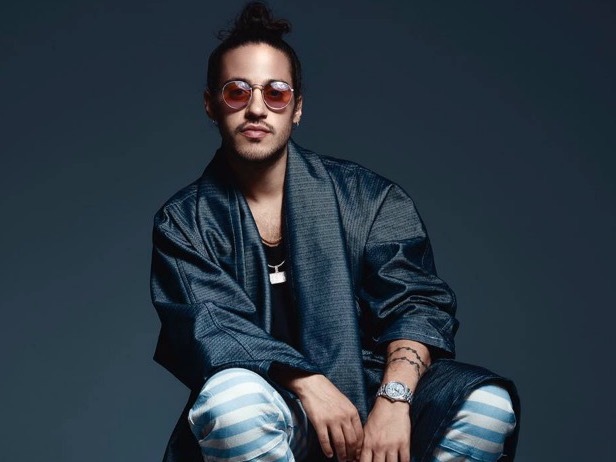 Russ made his major label debut earlier this year with There's Really A Wolf through Columbia Records. On Tuesday (July 25th) Russ released a video for "Me You," the most recent single from There's Really A Wolf, and it has already amassed more than a million views. The video opens with Russ in an all white house, wearing an all white sweatshirt sweat-short getup, informing us at home that there is a difference between him and other rappers in the game. Russ takes us on a journey through his house and into the studio, all while rapping about how everything he has, he worked for and got himself. A multitude of Russes show us the different sides of the rapper: the producer, the songwriter, the ~Swag Money~ rap star, and just plain old Russ Vitale. If the views this video has garnered in just two days is any indication, Russ is absolutely here to stay.